Convenience yet privacy awaits you in this one level ranch home. Close to I66 & schools/shopping & downtown! Large home with formal dining, living and family room w/new gas Fireplace! New appliances, freshly painted and carpets cleaned! Powerwashed and ready for you to call it yours! Oversized detached garage (24 x 36)with workshop & hvac! 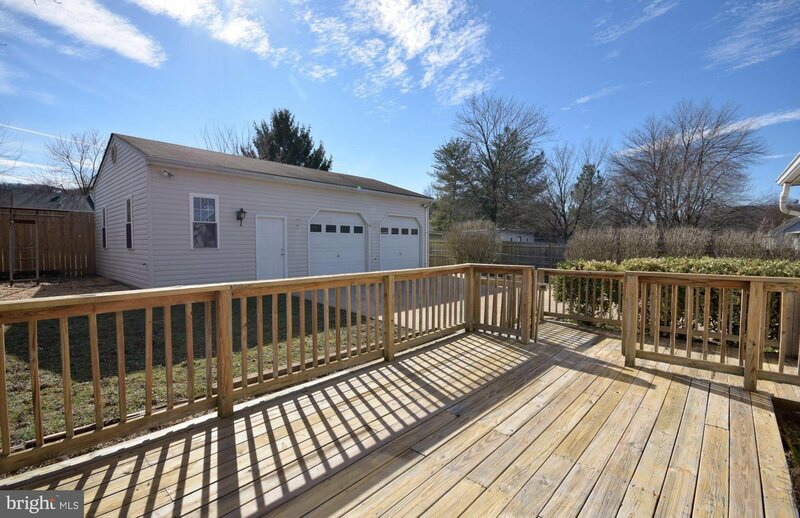 Entertain on the back deck! Fenced back yard! Listing courtesy of Sager Real Estate. Selling Office: .